Cavani had been linked with a host of European clubs this summer, with Manchester City, Chelsea and Real Madrid also rumoured to be interested in him. 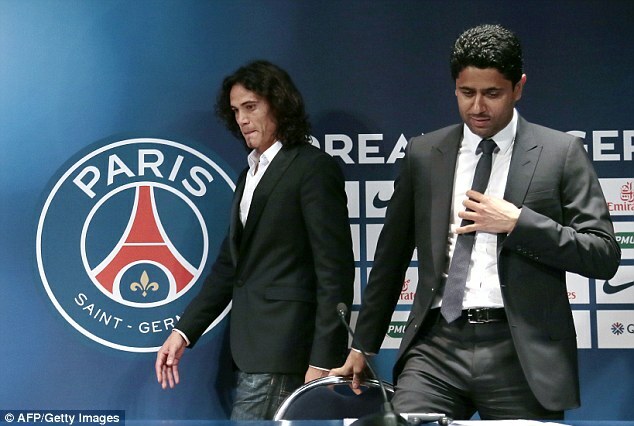 However, PSG had stepped up their pursuit in the last week and announced the much-anticipated news on their official website that they had signed their man on Tuesday afternoon. 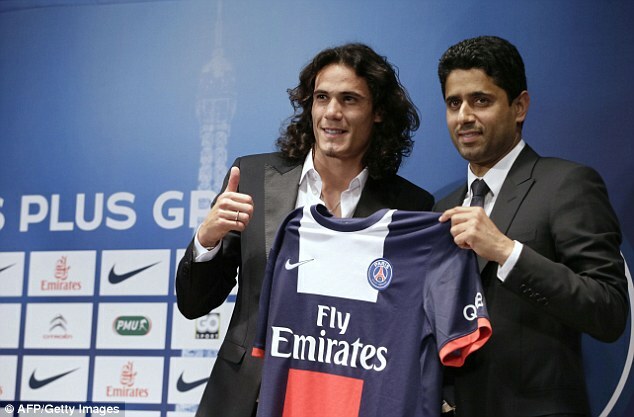 The arrival of Edinson Cavani demonstrates the ability of the club to attract the best players in the world,' said PSG president Nasser Al-Khelaifi. Cavani has been in sparkling form since joining Napoli from their Italian rivals Palermo in July 2010, scoring 104 goals in just 138 appearances for the Partenopei. He was particularly prolific last season with 29 goals to help the Naples club finish second in Serie A, while his tally helped him win the Capocannoniere, which rewards the league's top scorer. The 26-year-old is just the latest big-money signing for the free-spending Parisiens, who have recruited Zlatan Ibrahimovic, Marco Verratti, Ezequiel Lavezzi, Lucas Moura, Javier Pastore and Thiago Silva in the last couple of years. Cavani is expected to form a dream-team strike pairing with Ibrahimovic, who was named Ligue 1 player of the year after bagging 30 goals last season. 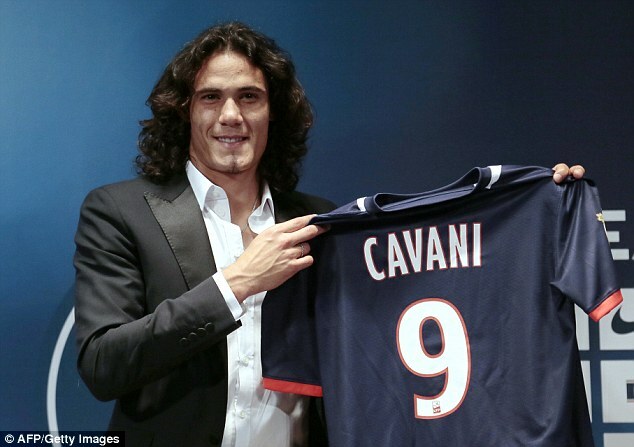 New manager Laurent Blanc will also be hoping Cavani and playmaker Lavezzi can rekindle their impressive partnership from their days at Napoli together.